Each year, we see thousands of students, teachers and parents--traveling from as far as 250 miles in some cases--pour through our gates for field trips at the Baton Rouge Zoo. And we're happy to say that those numbers, as well as our geographic reach, continue to grow annually. Our mission is to connect people with animals and we make every effort to realize that in every education program we offer. Today, more than ever, it is critical that our young people develop an understanding, appreciation and respect for our natural resources and surroundings. There are many species living in our Zoo whose existence in the wild depends on it. What better way to do this than to get a firsthand look at one of nature's animal ambassadors? 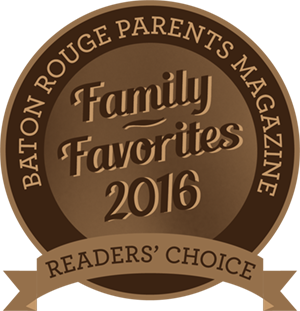 Whether you come every year or are visiting this page for the first time, we strongly encourage you to make the trip to the Baton Rouge Zoo. With nearly 800 animals to see, programming that is in line with state curriculum requirements, easy lunch ordering from our Flamingo Cafe and the popular Cypress Bayou Railroad, it's sure to be a trip to remember. Start by reviewing our rates, general guidelines and policies below regarding field trips. Choose a preferred date and time. Remember, the Zoo is very popular in spring. Fall and winter offer many unique viewing opportunities without the crowds. Complete our field trip request form. While you're filling out the request, don't forget to add a private EdZooCation program to your trip! If you're interested in eating lunch at the Zoo during your trip, please complete our Flamingo Cafe order form. Within a week of submitting your request, you will be contacted by a Zoo representative to confirm your field trip date, time and additional information. Remember, your trip is not officially reserved until you receive a confirmation. If you are ordering food from the Cafe, please note that you will receive a separate food order confirmation. Enhance your day by planning ahead to visit the Safari Post Gift Shop or take a ride on the Cypress Bayou Railroad. No reservations are needed to have a train ride as part of your visit, but please plan to bring a separate payment ($2/rider). Have all student, teacher and chaperone payments collected in advance and presented at the Admission Gate as one single payment. Please also come with an accurate head count of students and chaperones. All groups must make a reservation to visit the Zoo. No class will be admitted without a reservation. School groups are encouraged to stay visible by wearing ADHESIVE name tags. Strings and pins tend to end up in animal enclosures, which can threaten our animals' safety. School groups are not allowed to bring food into the Zoo. If you'd like to bring your own lunches, picnic areas are available in the adjoining Greenwood and Clark Parks. For your safety, we ask that you please not picnic in the Zoo's parking lot. The Zoo remains open during inclement weather, so we do not offer refunds or rain-checks. Bring your umbrellas and ponchos for cloudy days! For more information on any of the information provided above, or to schedule your trip by phone, please call (225) 775-3877, Option 5. Click here for a downloadable PDF version of this year's Education guide.